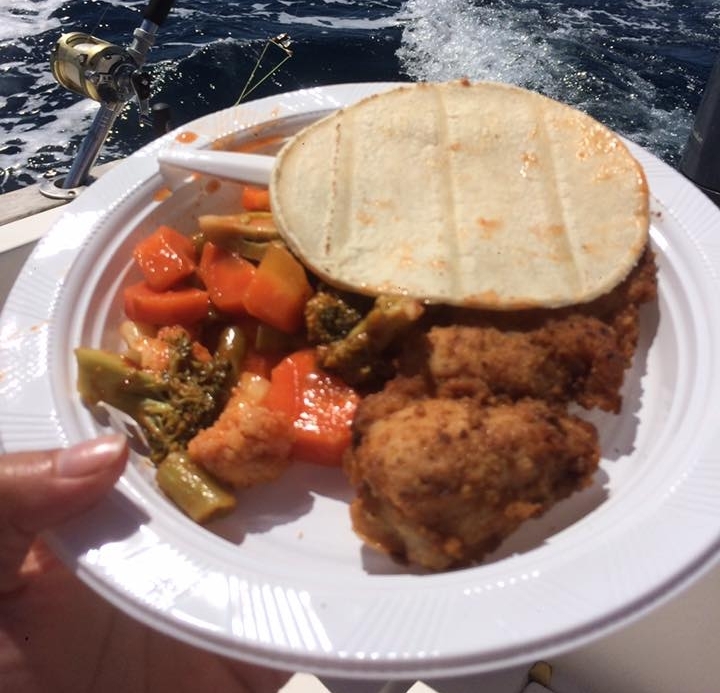 Helmed by Master Captain William Mendoza since day one, the FishingNosara flagship runs over 200 trips a year and is clearly the busiest charter boat in all of Central America. The 32' T-Craft hull is very popular among commercial and charter fishermen in the Eastern USA for decades, and though T-Craft is no longer in business their legacy can still be seen up and down the Atlantic coast. 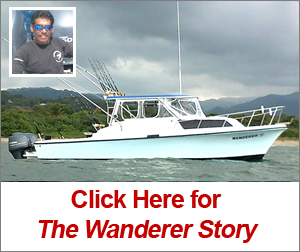 The Wanderer was purchased in March 2009 by the US Representative of FishingNosara. After being stripped, painted, converted to Yamaha outboards, and completely refit she was re-launched in Garza in November 2009. The Wanderer has all the tools to bring in the big ones; tuna tubes, live wells, top notch tackle with custom rods, and more. She is definitely built for battle and is sure to please. This proven T-Craft hull features a full tower inspired by the arch of the Explorer while the cockpit is an exact duplicated of the flagship Wanderer. Under the command of Captain Carlos, the big blue battleship has built a reputation as one of the best boats in Costa Rica. 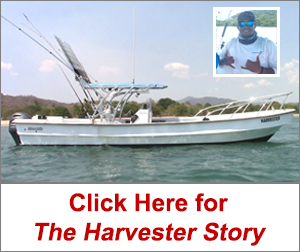 32' Eduardono Corvina "Mega Panga"
The genesis of The Harvester Project was in the success of our 27-foot Super Panga Explorer. The combination of a big-bow panga hull with a single Yamaha motor has proven unbeatable for fishing in our stretch of ocean. As her legend grew, we began to wonder what the Explorer would be like if it was just as big as the Wanderer and Discoverer. The 32-foot Eduardono Corvina hull is exactly what we are looking for: strong, light, and proven to last in rough conditions. The Harvester was completed in November 2015 and after a two month shakedown was delivered to Garza on January 17, 2016. 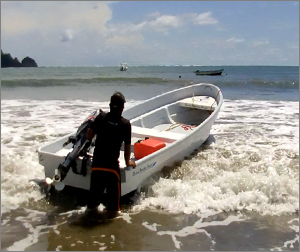 Captain Alex has the Mega Panga primed to shatter expectations on Costa Rica's newest fish-fighting weapon. 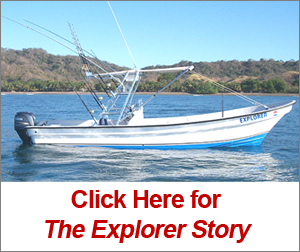 The Explorer represents a new concept in Costa Rica Sportfishing by combining the swift maneuverability of a Panga boat with the fishing tools of a boat twice her size. The result? A smooth-riding craft that is capable of offshore trolling and inshore reef casting with all the right tackle to bring home the big boys. 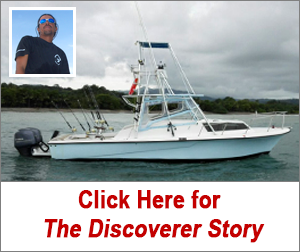 The Explorer is owned by the US Representative of FishingNosara and is the first first FishingNosara vessel built entirely in Costa Rica. Final rigging was complete in December 2010 and the Explorer has been satisfying clients ever since. The Client Console puts you in the middle of the action, and with Captain Fico at the helm you can expect an unforgettable angling experience. 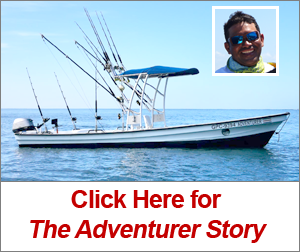 The Adventurer combines a proven Panga-style hull with modern lightweight sportfishing tools to target inshore reef dwellers via trolling, top-water casting,deep jigging, and even on the fly. The Adventurer is well suited for marine nature tours, snorkling trips, surfing expeditions, romantic sunset cruises, and surfing excursions. 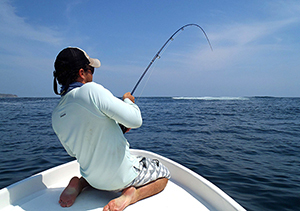 The Adventurer is owned by the US Representative of FishingNosara and is the second FishingNosara vessel built entirely in Costa Rica. Final rigging was complete in March 2012. 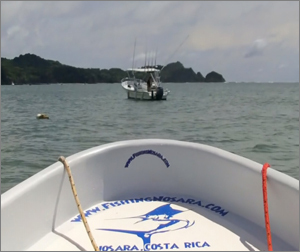 Garza Bay is the mooring point for FishingNosara's fleet. Parking is availible on the beach side across from the Mini Super. Check the driving directions (right) for complete details. Round trip ground transportation is available from Playa Guiones, Playa Ostinal, Nosara, or Samara for $50 round trip. 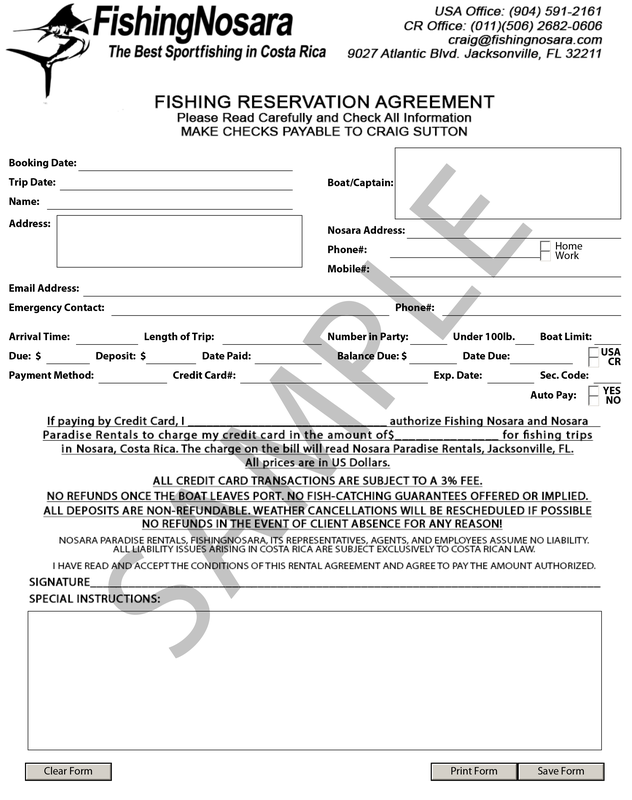 FishingNosara operates an exclusive ferry service for our clients. The Transporter will take you to and from your vessel. We have all tackle for trolling, casting, and jigging, however we do not provide the flyfishing equipment. Flyfishermen are welcome, just be sure to bring your flies and rod/reel (12wt. - 16wt. recommended). The crew will chunk and scatter fresh dead bait, deep drop jigs, and topwater cast hookless plugs to help create a feeding frenzy. Also make sure to let the office know if you are a right-handed or left-handed caster so we can withdraw the appropriate outrigger.